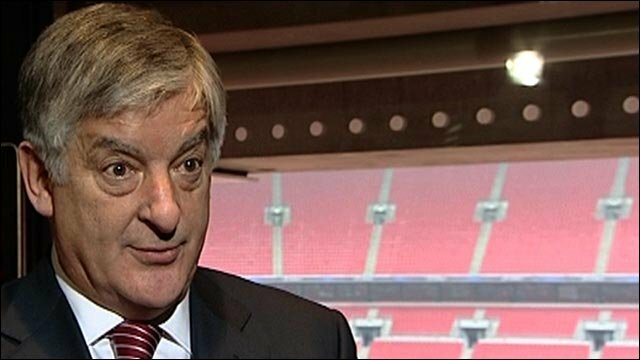 Former Manchester City chairman David Bernstein has been nominated to take over as the new chairman of the Football Association. Bernstein, 67, spent nine years on the board at City, five as chairman. The nomination was approved unanimously by the FA board on Wednesday and the FA Council will be asked to endorse the appointment on 25 January 2011. "I am honoured to be asked to take on the role as chairman of the FA," said Bernstein following the announcement. During his nine years at Manchester City the club returned to the Premier League and Bernstein led the negotiations which saw them secure the lease for their new Eastlands stadium. Bernstein resigned as chairman of City in 2003 after a boardroom battle with manager at the time Kevin Keegan over strategy and the signing of striker Robbie Fowler. It led to a vote of no confidence in him from the City board. Since 2003 Bernstein, a chartered accountant, has also been a director of Wembley Stadium and has been chairman since 2008. Bernstein also sits on the boards of several companies including French Connection - overseeing the controversial FCUK marketing campaign, Ted Baker and Blacks Leisure, where he has been chairman since 1996. He is also President of the National Association of Disabled Supporters. "It is a tremendous challenge but I look forward to working with the board, the staff at the FA and everyone in football from local playing fields to Wembley and the international stage," added Bernstein. 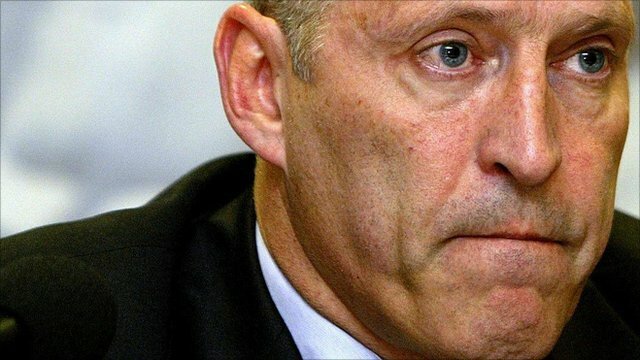 Former FA and Arsenal vice-chairman David Dein had been the favourite to secure the post, which became available following Lord Triesman's enforced resignation in May, but Bernstein was recommended to the FA board by a nominations committee headed by Bolton chairman Phil Gartside. "The appointment of David Bernstein may come as a surprise in terms of the timing but it shouldn't in terms of his track record," said BBC sports editor David Bond. "The FA kept the news extremely tight until the announcement and one senses a lot was at stake for them here. "They've had a terrible year with England going out of the World Cup relatively early and then the disaster of the 2018 vote in Zurich. They knew they had to keep the news tight and it seems for once they have." Acting FA chairman Roger Burden, who withdrew as a candidate earlier this month following England's failed bid for the 2018 World Cup on the grounds that he "could not trust Fifa", said: "The board was united in its view that David would make an excellent choice as chairman of the organisation. "I have worked with David for some years and have always been impressed by his professionalism and integrity. "We look forward to working with David to take the FA forward in the best interests of football at all levels across the country." Gartside added: "David was the outstanding candidate for the role. He combines strong business and leadership skills with tremendous insight and knowledge of football." Bernstein used his first interview since the announcement was made to speak of his desire for England to be managed by an Englishman in the future, when Italian Fabio Capello leaves his role after the 2012 European Championships. "I would prefer to see the best manager possible managing the England team," Bernstein told BBC Sport. "If he was English that would be preferable for obvious reasons and I think there is a national desire for that." "I very much look forward to working with David and together focusing on the priorities for the development of English football," said Horne. "We have a busy year ahead with work starting on St George's Park, the launch of the Women's Super League, England men's and women's teams competing in major competitions at a variety of age groups and a drive to implement the recommendations of our review into international player development."